Leybold GmbH, a German company of the Atlas Copco Group, is the first vacuum pump manufacturer to test the diverse application possibilities of Augmented Reality (AR). While executing tasks, service technicians obtain useful additional information and graphical documentation, partly in 3D. 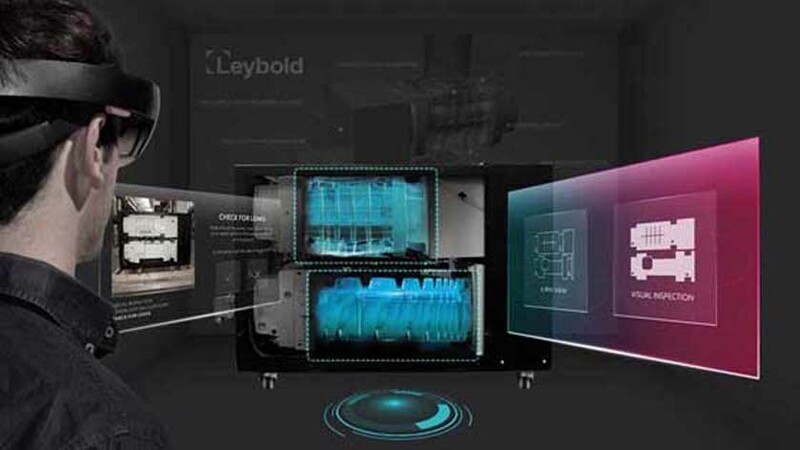 Leybold plans to extend the scalable AR apps to other product areas such as training, repair and maintenance purposes. The real-time visualizations and context-related information concepts are not new to the renowned pump manufacturer. 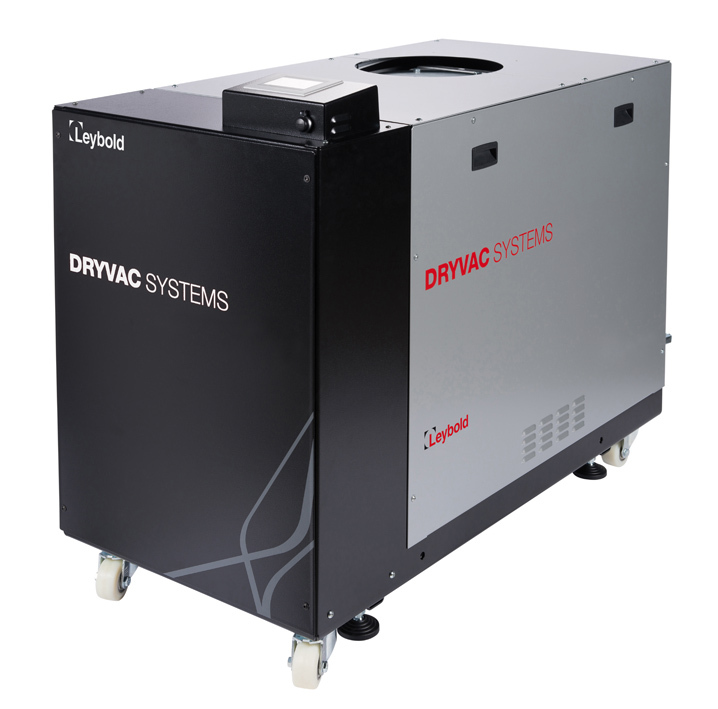 Since the year 2016, Leybold has been using the advantages of Augmented Reality for the dry pumping system DRYVAC. It quickly became apparent that the data provided to customers and service technicians dealing with Leybold products offer additional benefits. These positive experiences have prompted Leybold to extend Augmented Reality to other areas. Leybold sees the greatest potential for optimization in the core areas of training and service. The technology can be used anywhere in the world where specific, interactive user support is useful in service processes. However, it also offers advantages in facilitating learning and educational training - by allowing insights into the pump interior. Augmented Reality therefore offers its customers and technicians a wide range of possibilities to perform their service tasks - even without the specialists. Step-by-step instructions fed into the eyesight range of technicians enable a lower error rate. Moreover, the training effort for the technicians is minimized through this visual support and the insertion of interactive content with understandable instructions and checklists. For the purpose of illustration, high resolution 3D graphics are projected onto the pumps exactly where the tasks have to be carried out. The relevant photo and audio functions can easily be embedded in the respective application. If necessary, different evaluations can be generated. By using the pilot applications, the realistic presentation possibilities of AR applications on smartphones and tablets are evident. Also, the Microsoft HoloLens glasses can be used. With these Augmented Reality glasses, technicians can work and train without having to hold a device in their hands. "We see a great potential for applications in the field of Augmented Reality, especially in industrial processes, and this digital strategy is not only a strong market trend, but also meets the challenges of our customers and technicians in the field," said Eckart Roettger, President of Industrial Vacuum Service, elaborating on the value of AR processes. "Instead of taking the instructions from a manual, apprentices have the whole procedure on the object visulaized within the display. This will generate a great impact on the value and use of information," explains Eckart Roettger. Leybold is working on this project with REFLEKT ONE, a software for industrial applications from the Munich-based specialist for Augmented and Virtual Reality RE'FLEKT. "Many customers know the benefits of Augmented Reality. The problem, however, is to create tailor-made applications for a variety of products. The scalability of our platform makes it easy for the customer to do it themselves, " explains RE'FLEKT CEO Wolfgang Stelzle, on the main motivation to rely on REFLEKT ONE. One of the main advantages is sustainability: once the software is fully installed, any number of AR applications can be created for training and service scenarios of all products. This results in significant advantages for the customer in terms of downtime, response times and operating costs.